Sign up for Broadjam today to follow The Jim Ivins Band, and be notified when they upload new stuff or update their news! 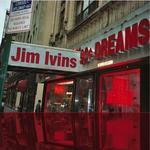 After making his debut solo album "99¢ Dreams", Jim Ivins took his band into the studio With and without his band, Ivins spent almost a year promoting "99¢ Dreams" before deciding to take it back into the studio. This time, though, he would have some company in the form of his idol Ace Enders (of The Early November fame), whose presence is definitely felt on the EP. The influence of Enders in the songs was obvious even before he got his hands on them and once he did, he gave the songs new life. With a hands-on approach to producing, unfamiliar to the band, Enders enriched the songs in a way Ivins never thought possible, adding/changing guitar lines, coloring the songs with rich, infectious harmonies throughout, and giving the tracks "Back To Reality" and "The Chance" a larger than life production. With only limited time with Ace, the boys needed one more song and stepped into the studio with the Ivins brothers' famous cousin Bill Leverty (Firehouse) for the EP closer "2 O'Clock Wake Up Call", a Coldplay meets Oasis style rocker, tailor-made for arenas.